Its been around 8 years since my family last bought a new car – a 2011 Ford Figo. And it has been a dependable workhorse ever since. But its finally starting to show its age, meaning that it’s probably time for an upgrade. While it was never a preference initially, the new Ciaz in the last couple of weeks seems to have grown on me. 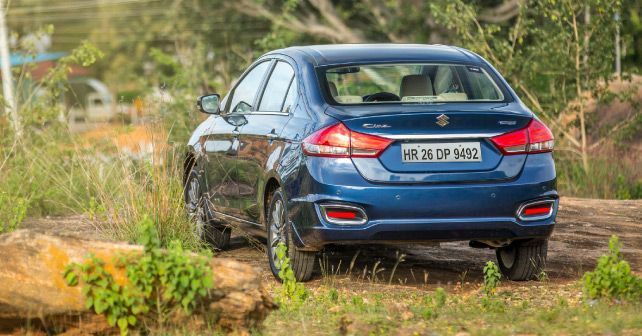 I have driven the Ciaz to work every day and have also taken a few long trips with my family. And I am yet to find a fault with the car that could really annoy you every day. I'll admit it’s not the most fun car to drive. It’s tuned for comfort, and it performs exceptionally well in that regard. However, I did notice that the Auto Stop/Start is a little too eager to cut the engine as soon as the revs drop below 800rpm. This forces the car to vibrate in start/stop traffic situations, as the system gets confused regarding what it’s supposed to do. You could turn it off, but that defeats the whole purpose. Other than that, the Ciaz is a good car to drive every day. The seats are comfortable, even the rear bench, but you can’t help but wish for an adjustable lumbar support. The ride is supple with a subtle underlying firmness, which adds stability. The engine is efficient, and the hybrid battery system does well to aid acceleration, which makes it easy to drive on busy highways. But considering all the good factors and assessing the cons, I have a feeling that we might get that upgrade after all.